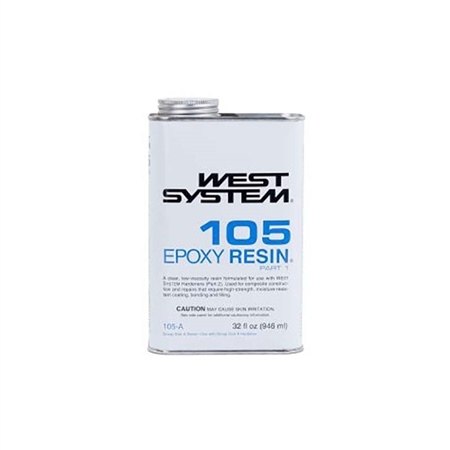 105 Resin is the base material of the West System family of products on which all the possible compounds are built. When combined with any of the West System Hardeners it will cure to a solid on wood fibre, fibreglass and a variety of metals. All of the West System’s range of fillers can be added to the un-cured epoxy to achieve a variety of solid states to suite many different applications.